Woods was originally formed in 1994 to provide high quality asbestos remediation services across the South East of England. In 2003, the current ownership acquired the business enabling the company to benefit from a significant investment to support a strategic growth programme to become a national contractor. 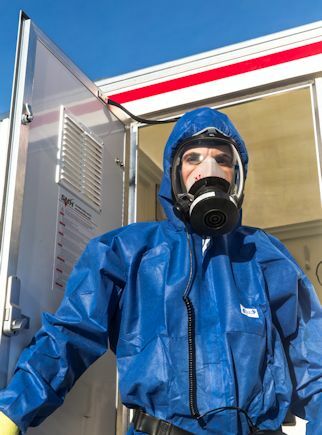 We now operate nationally across five offices located in Harlow (HQ), Milton Keynes, Wellington, Pontyclun (Sth Wales) and St. Helens delivering asbestos solutions to a broad range of market sectors procured through competitive tender, sole source arrangements or long term frameworks. Woods is a highly customer focused organisation that is proud of the consistently high levels of customer satisfaction achieved. This is due to the professional and highly trained personnel employed who interact with our clients on a daily basis. 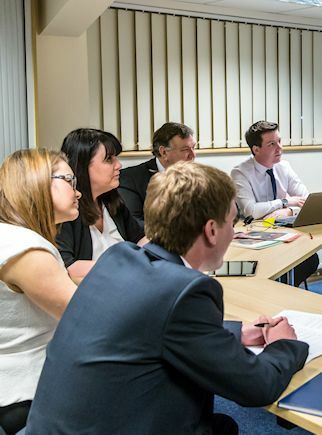 We believe our greatest asset is our people and are committed to investing in and developing our workforce. We encourage individuals to challenge belief in their own ability and these core values remain at the heart of our business ethos. Woods welcomes applications from appropriately qualified people who are keen to work within an organisation that is committed to delivering the highest levels of service to our clients. We are an equal opportunity employer, and our employees are appointed based on their ability to do the job irrespective of gender, sexual orientation, marital status, age, ethnic origin, religion, disability or trade union membership. If you believe you can contribute to our organisation then please email us at careers@aawoods.com with a copy of your CV and a brief introduction to yourself. Your CV will be held on file and treated in the strictest confidence. Asbestos is a naturally occurring fibrous material, regularly used in building work from the 1950’s up until the late 1990’s. Any building built or refurbished before the year 2000 may contain asbestos. It was often used as an insulation and fire-proofing material and is often found in products such as ceiling tiles, pipe insulation, boilers, sprayed coatings and garage roofs. There are three main different types of asbestos, chrysotile (white), amosite (brown) and crocidolite (blue). Removing asbestos is particularly dangerous as the fibres become harmful when disturbed and released into the atmosphere. The risk of releasing these dangerous fibres is particularly high without proper training, equipment and control measures and if handled incorrectly and inhaled can cause serious diseases. It can take as little as 10 years and up to 50 years to develop these diseases depending on exposure. 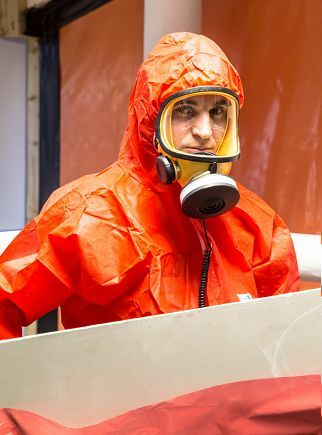 Asbestos exposure causes 5000 deaths every year, vastly more than the number of people killed on UK roads, this figure is expected to reach 10,000 per annum by 2020.